The day started early as I facilitated a workshop on flipped learning. Workshop Description: With computers, being affordable, smartphones becoming ubiquitous and internet available at low cost, flipped learning is becoming more popular as pedagogy. Flipped classrooms take the transmission of content from the classroom to home and the assimilation of the content at home to the classroom. In this workshop, we will discuss the differences between traditional, blended and flipped learning, the tools and techniques used to teach a flipped classroom, the challenges and opportunities of teaching a flipped classroom, and the evidence or lack thereof of the effectiveness of flipped classrooms in higher education. The presenter has taught partially- and fully-flipped and blended classes, and will present the personal lessons learned in the process. The audience will be then be engaged in a discussion on how they would teach a flipped class. Photo: Participants of the flipped learning workshop. Taking them through Bloom’s taxonomy without the pyramid and hierarchy. 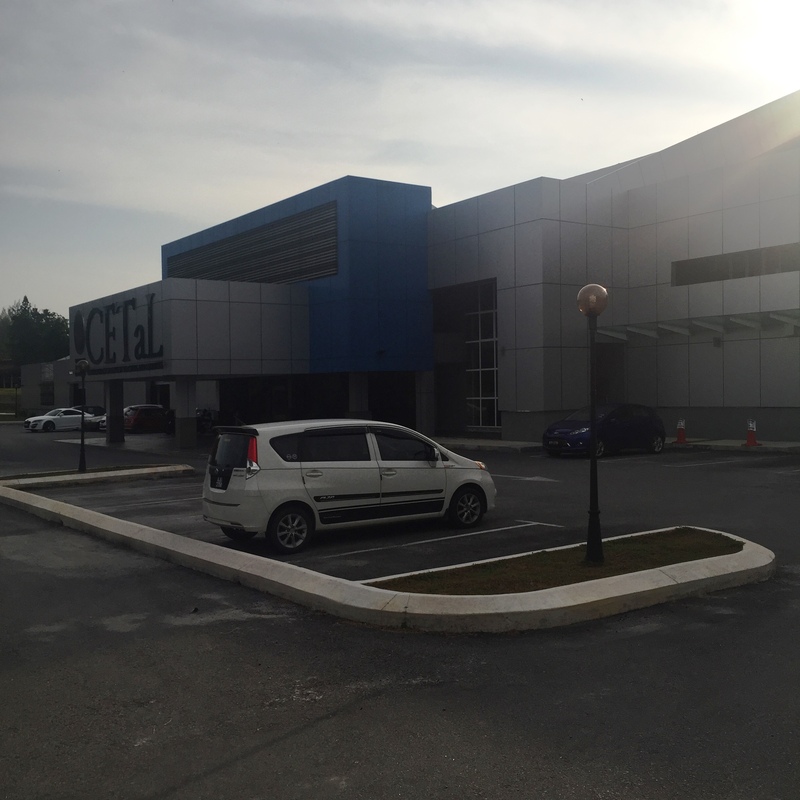 UTP is ahead of its times by having CeTAL, a center of excellence for teaching and learning on its campus. They have a building of their own with several meeting rooms around a circular lobby. The meeting rooms are set up in a workshop style with tables that are round. The facilitator can be anywhere in the room and TV displays are set up on all sides. The layout of the room was impressive and not found in most universities including my own. There were about 20 participants and they asked highly categorical questions. They also contributed to the discussion through several reflection exercises and introduced me to tools that I was not aware of – webclicker, etc. The workshop was followed by lunch sponsored by CeTAL UTP. I talked to several faculty members at the table and they shared how they are using evidence-based practices in the classroom including active learning, flipped classrooms, and metacognition. 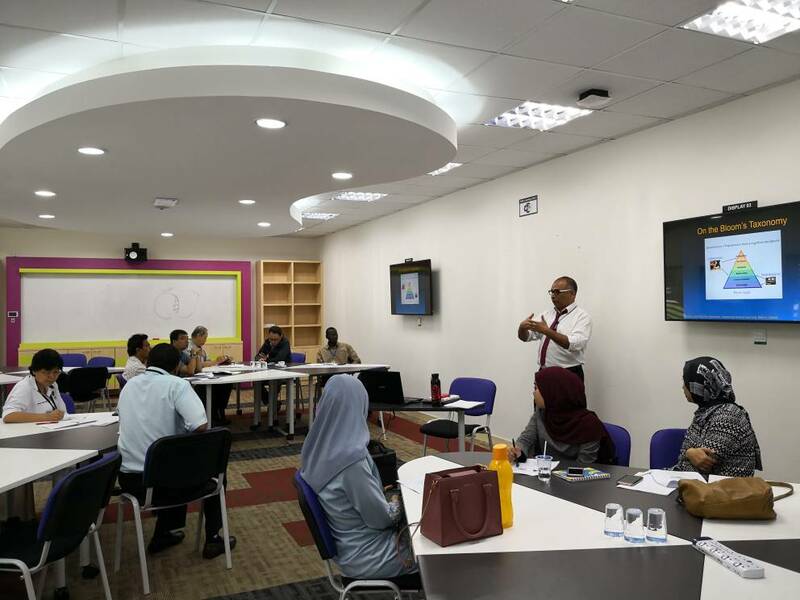 I found out that UTP has a part of its annual faculty evaluation index dedicated to the use of evidence-based techniques in teaching courses. The faculty member has to demonstrate that they have used these techniques through self-reporting and evidence. New faculty members are observed in the classroom so that they can be provided with feedback and suggestions for improving their teaching techniques. In the afternoon, I concluded the short course on composite materials. Using only the whiteboard to explain the macromechanics of composite materials resulted in several interactive discussions on the use of principal stresses, the transformation of stresses and use of failure theories. At the end of the class, we took a group photograph where they are demonstrating cross-ply laminates (plies at zero and ninety-degree angles). 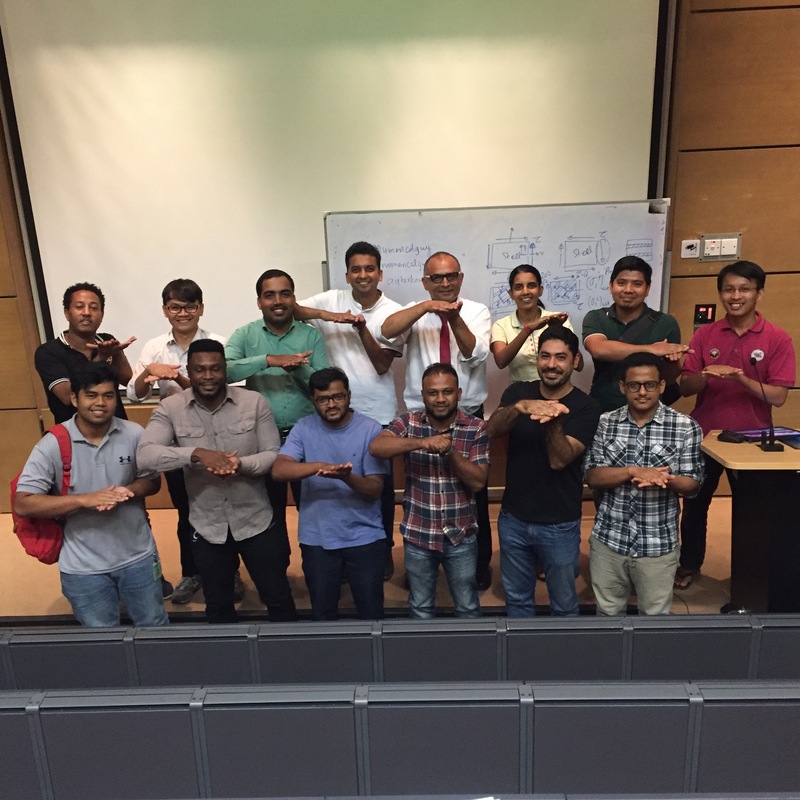 Photo: Composites short-course graduate student participants pose for a picture at UTP, Malaysia. The hands depict a cross-ply laminate.